Singapore is a land where old merges with new, and lush greenery is equally welcomed both inside and out. 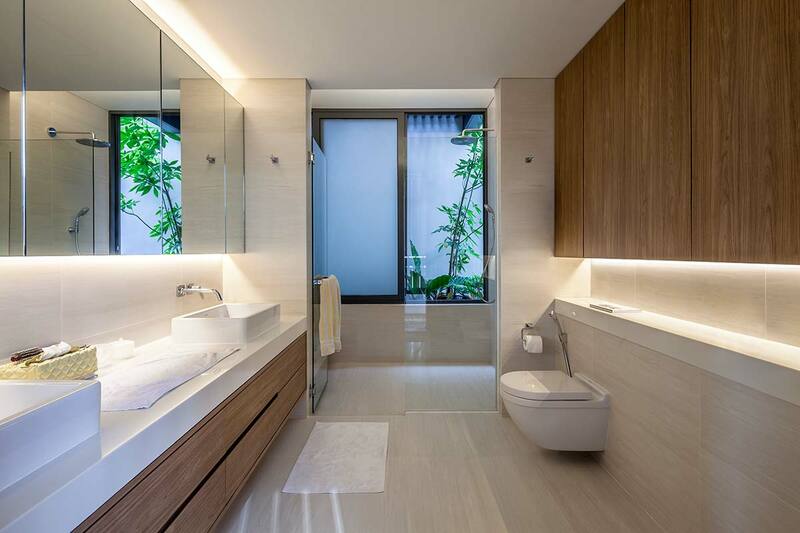 Simplicity of modern Asian living gives way to sumptuous appointments fit for royalty. 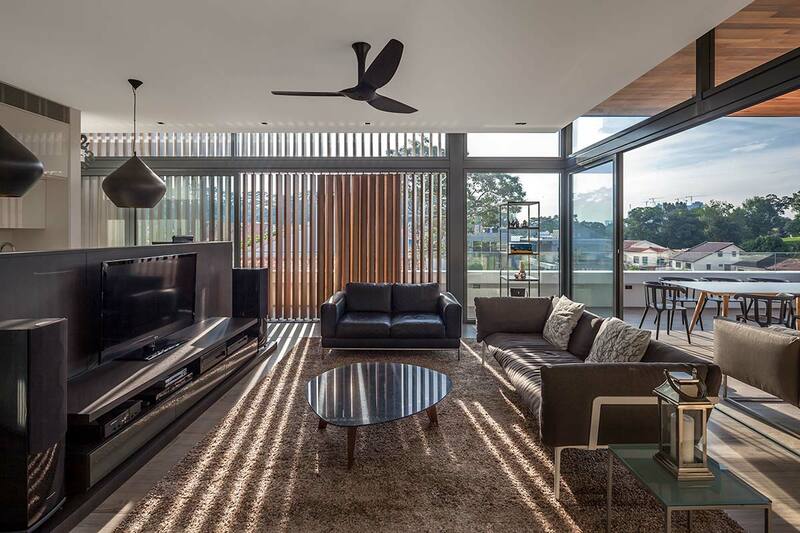 All of this comes to fruition within The Far Sight House by Wallflower Architecture + Design. Situated on a rather long but narrow home site, the size of this house is somewhat deceptive from the street. 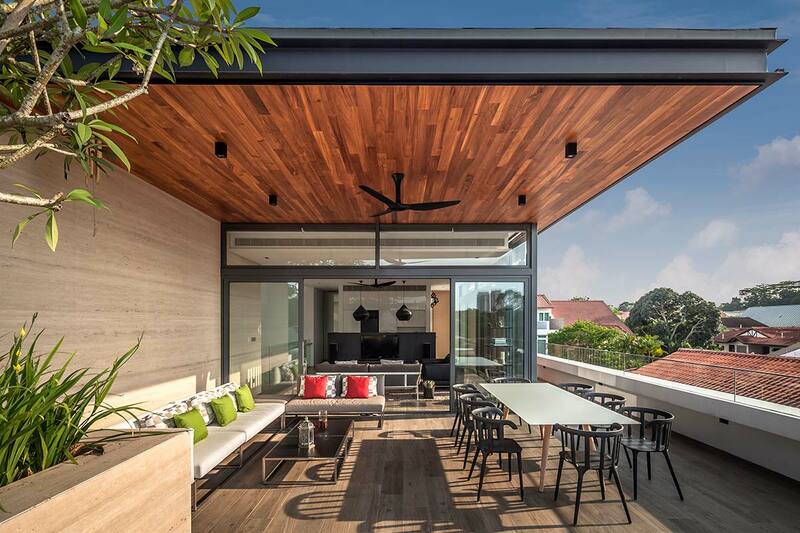 As a passerby, one simply revels in the rich hue of the entry gate, offset by the clean minimalist rooflines and teak accents. Those lucky enough to enter the home are treated to a magical surprise once the entry gate has slid aside. The house itself sits on slightly higher ground than neighboring homes, which in turn offers excellent views of the surrounding community. To help cut back on peering eyes, the Far Sight House is wrapped in both vertical and horizontal wooden slats. 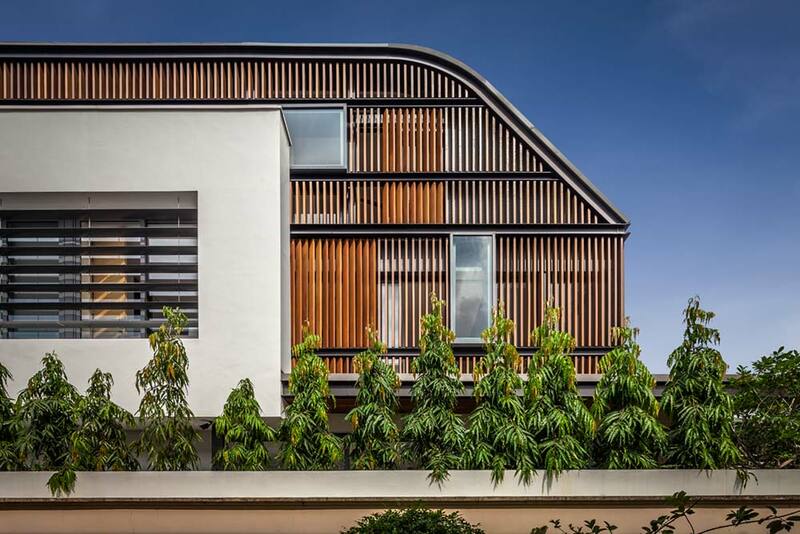 These louvers, when combined with an aluminum sunscreen, help to create shaded areas and a cross-flow of cool air for the much-needed ventilation in Singapore’s warm climate. 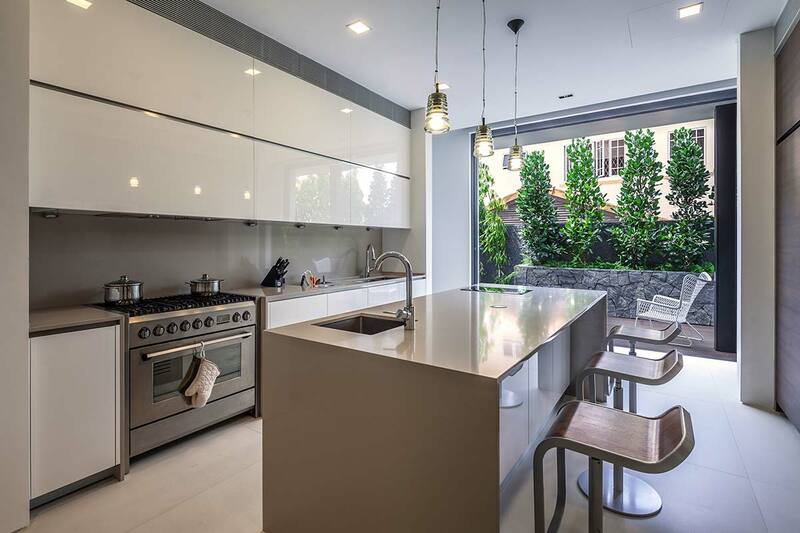 Stepping inside the home, the 463 square meter space becomes quite apparent. 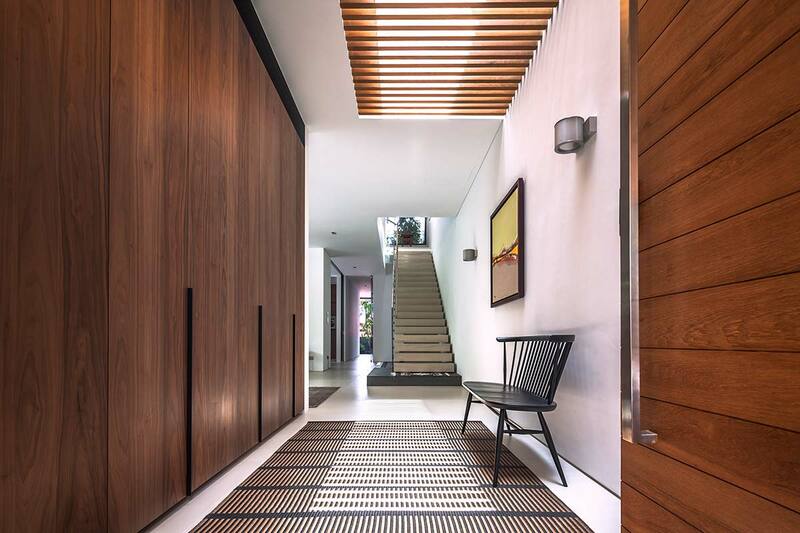 The entryway opens up to a vast hallway that leads the eye down the length of the home. 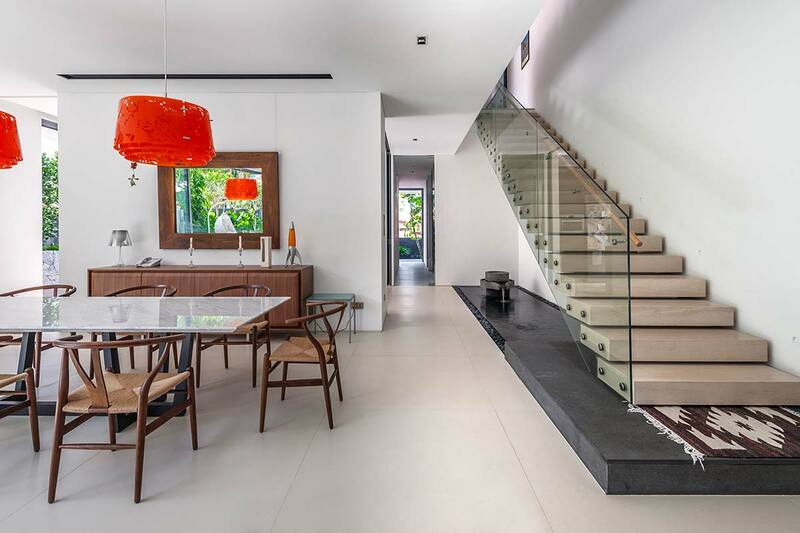 A massive limestone staircase surrounded by wood and glass railings helps to set the modern tone. 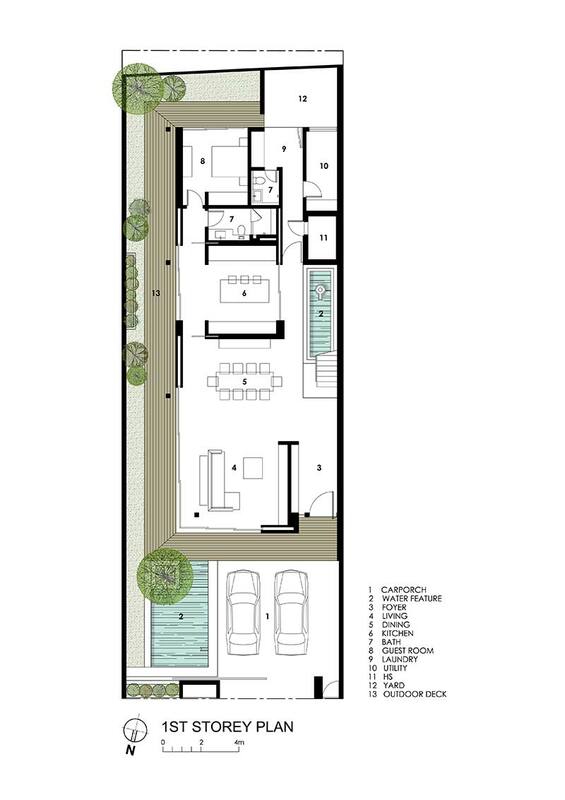 Because The Far Sight House is a semi-detached home, it only has openings on three sides. 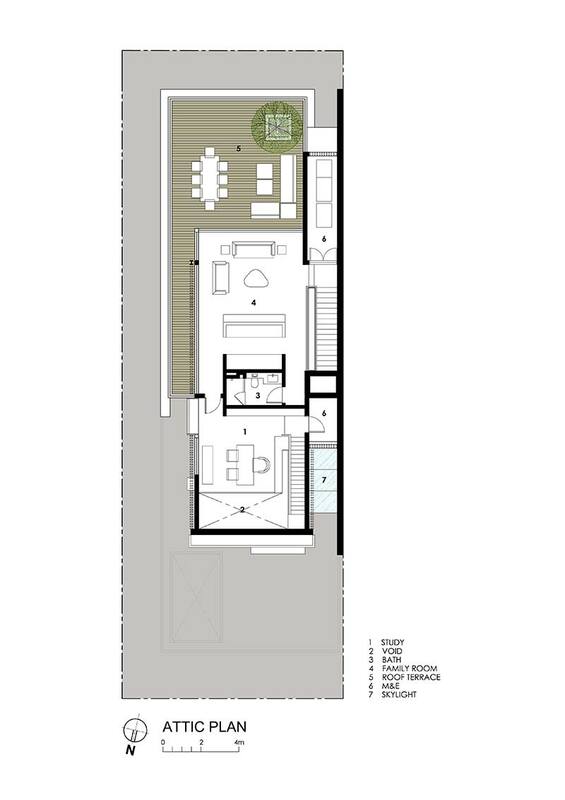 To ensure that the house doesn’t feel closed-in the architects incorporated full-height wraparound sliding glass walls. 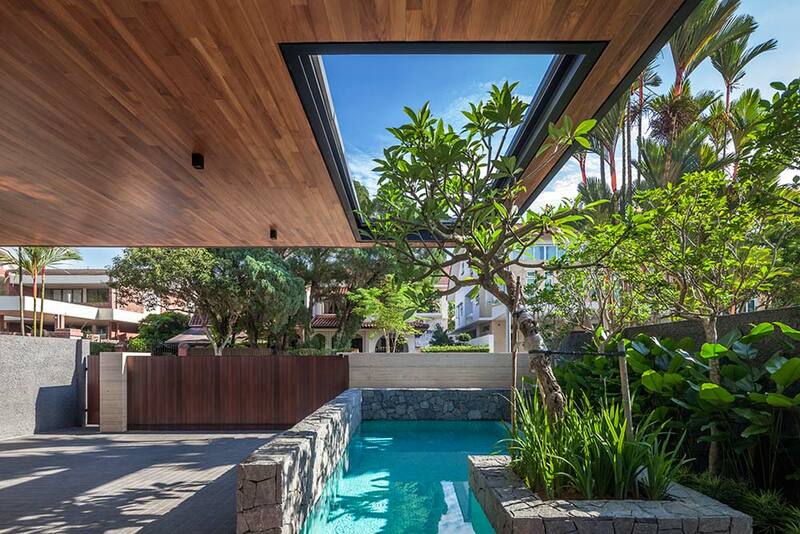 These walls allow the homeowners to expand the living spaces into the courtyard and garden areas. 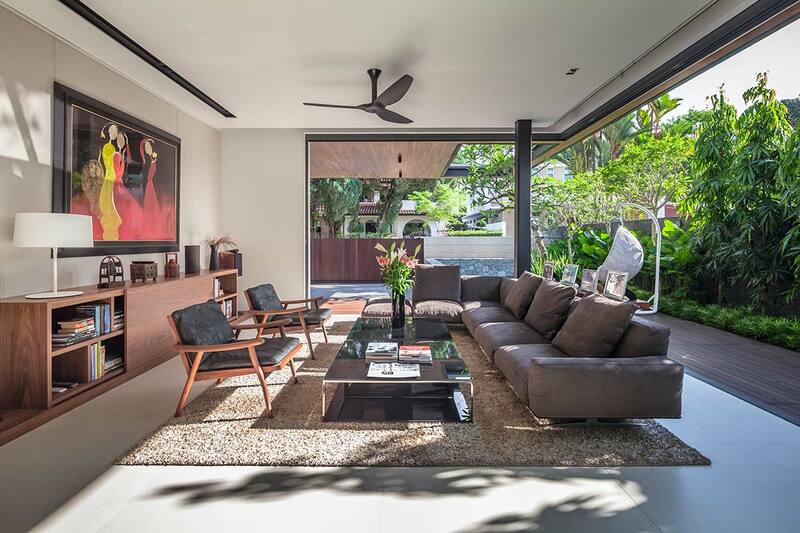 Contemporary design remains constant throughout the home, with traditional local furnishings and accents placed here and there to let one know that they are indeed in Singapore. 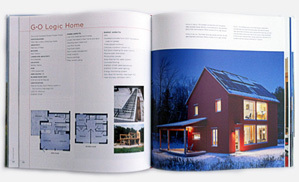 In consideration of local building codes and the dimensions of the home site, The Far Sight House implements a three-level layout. The first of the three floors house the primary common areas, guest and main living quarters. The “attic” level acts as the cherry on top. 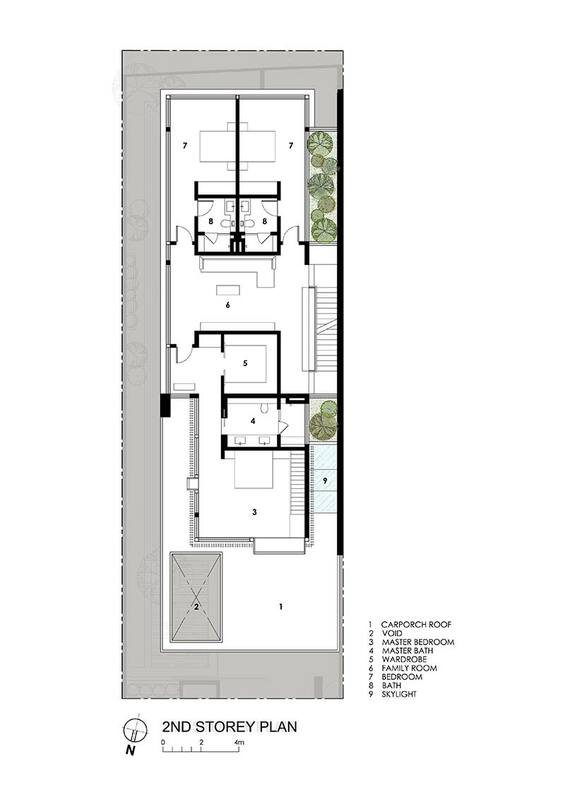 Accessible via the main staircase or a secondary staircase located in the master suite, this rooftop hideaway is home to a private office/study, a lounge area, bath, and access to a wraparound rooftop terrace which itself has panoramic views of the neighborhood. 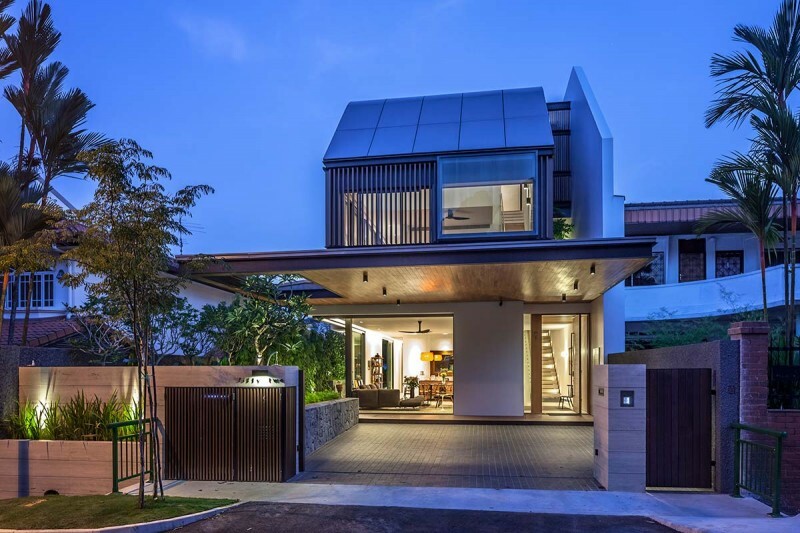 The Far Sight House is a celebration of materials that all successfully come together to form a spectacular modern residence that maximizes living space wherever and whenever possible.